Breeze. Breeze finally broke out as an in-ring performer in 2014. His matches with Zayn brought him to the next level, and he's held his ground with Neville and Kidd. And the Itami matches have been a lot of fun and have helped settle Itami into NXT. 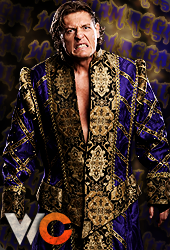 Goldust is still awesome but booking hindered him in 2014. And I really didn't care for any sort of Cody/Dust feud and the boring match at Fastlane helped verify that for me. I have similar feelings Nicky, Goldy can still be a workhorse vet for the WWE, but I have cared about him less and less since Stardust showed up, and now he seems to just be a enhancement guy which is sad. Breeze however has really come into his own this past year and really on the male side of things, he's arguably NXT's greatest worker that they've developed themselves aka the best non-indy darling wrestler from NXT. They are two guys that absolutely own their gimmicks though. I'll throw a pity vote to Goldy. Has to be Breeze. Goldust and Stardust just didn't work for me. Breeze is one of my favourite things about NXT each and every week. He does need a better finisher though. Considering how much love Goldie usually gets around her i'm quite surprised that this is so onesided tbh. Breeze really has grown over the last 12 months though. 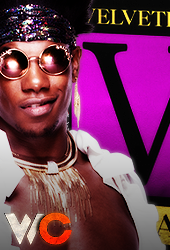 He had a lot to prove being paired with guys like Zayn, Neville & Kidd and he held his own quite well. I think most would agree Goldust is better if all things were equal. He's just at the very bottom of the totem pole and Breeze have gotten chances and made pretty good on them. I'm not a huge Breeze fan in the ring but he definitely deserves the win here. Goldust's quality in the mid-late nineties wasn't that great. I don't even think nineties goldust would make it into the top 64 tbh. His latest stint with the company from 2013 onwards has been, by far, his best in terms of in-ring work. 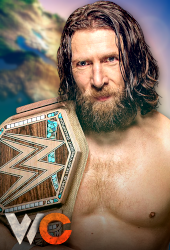 Enjoyed a lot of his stuff in the last year, although I don't think the heel turn was particularly well done, and how they've had the feud with Cody play out has sucked, which has left a bad taste in the mouth. Don't think he deserves the complete dicking he's getting, but Breeze deserves the win.